The fact that the price of Bitcoin today went past $10,000 for the first time ever will not come as a surprise to anyone familiar with this crazy market. The most-valuable cryptocurrency has had a fantastic year, setting record after record. On January 1, trading opened at $963. Considering that Bitcoin peaked at over $10,100 moments before writing this article, this means that it is up around 1,048 percent since the beginning of the year. Let that sink in for a moment, and let's move on to more mind-blowing figures. As a result of this insane growth, the market cap for Bitcoin exceeded $168 billion. That is more than what many tech companies are worth. The list includes IBM, SAP, Nvidia, Broadcom, Qualcomm, Texas Instruments, Adobe, Salesforce, Baidu, VMware, Activision Blizzard, NXP, HP, Electronic Arts, Nokia, Autodesk, Western Digital, Red Hat and HPE, to name just a few. That is also more than what the whole cryptocurrency scene was worth just a few months ago. For instance, in mid-June the market's cap peaked at around $115 billion. It only went over $168 billion days before September. Today, the market peaked at $310 billion. This growth was not fueled only by Bitcoin though. Ethereum's performance this year has been even more impressive, though it only recently managed to set a new record above its mid-June high. It's now trading below its $485 high, going for $471. The second-most valuable cryptocurrency is worth $45.3 billion. It is fair to say that the flippening -- the moment Ethereum overtakes Bitcoin -- is not going to happen anytime soon. Bitcoin recently saw increased pressure from Bitcoin Cash, which briefly overtook it in hashing power before losing ground. Bitcoin Cash sits in third place at the time of writing this article, trading for $1,590. Its market cap is $26.7 billion. 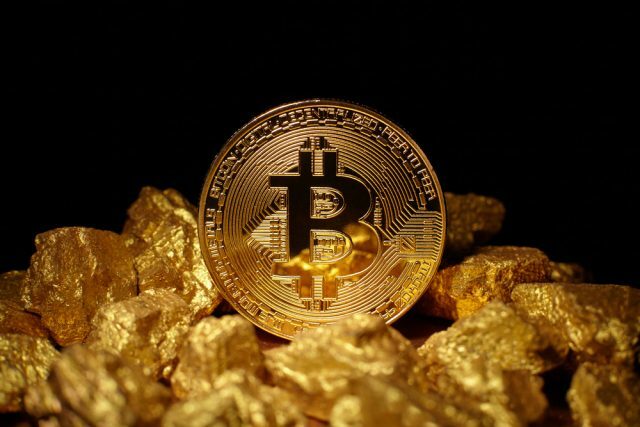 It is not the only Bitcoin fork around anymore, with Bitcoin Gold following in fifth place with $343 per coin and a cap of $5.7 billion. Further down, there are some interesting movements. Litecoin is trading for $92, Dash is at $622, IOTA is going for $1.04 and Monero is up to $185. What is very surprising is the rise of Ethereum Classic, which is up to $33 today. It barely managed to move above $20 before. In case you are not familiar with it, this is the original implementation of Ethereum, which has failed to gain as much traction in the cryptocurrency market as the second most-valuable coin. Ethereum Classic is worth $3.4 billion. Where do we go from here? Well, nobody really knows, but what is clear to a number of analysts is that a correction is likely to happen soon. We'll see how the market reacts to Bitcoin's new record in a few days.